Comes from stock introduced by German immigrants to Washington State. But we believe the original stock came from the central Asian republic of the same name. 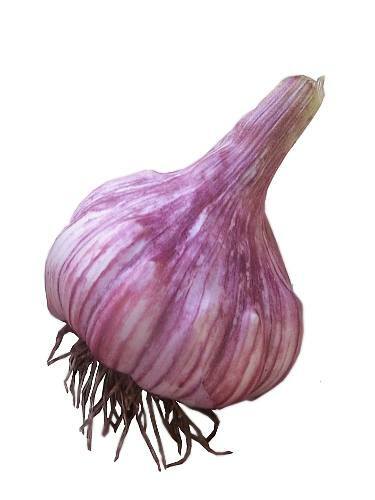 It is a glazed purple stripe variety with very colourful bulbs and large cloves.